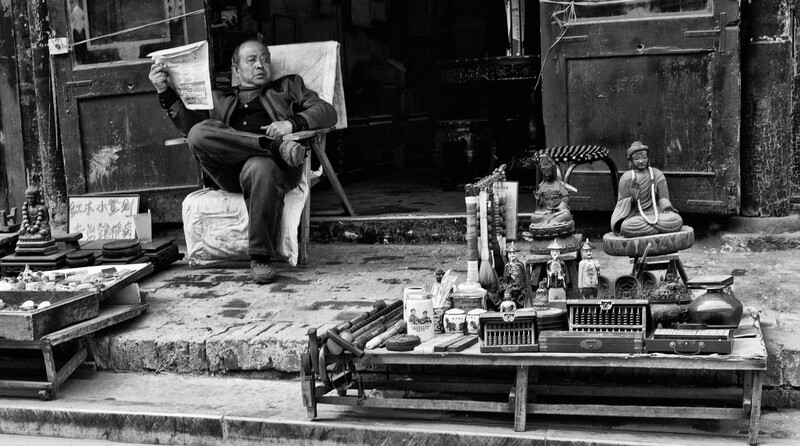 A small street side antique and curio shop in Ping Yao ancient city, Shanxi Province China. These small shops sell mostly reproduction antiques, they will often try and tell you they are real antiques and quote crazy prices, the art is buy what you like because you like it and not because you think it is a real antique and haggle hard, usually pay about 20 to 30% of the price they are telling you. They do have some great items though especially if you want something typically Chinese. Are the open boxes abacuses?